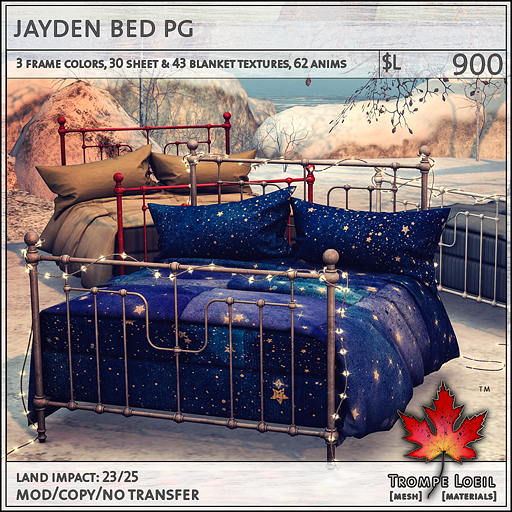 Cozy up and beat those winter blues with our stylish iron-framed bed that comes in three color finishes, stringlights, and a fantastic selection of textures – the Jayden Bed, only at Uber’s November round! We include so many options for different looks, this bed will be your versatile go-to for any decor setting. 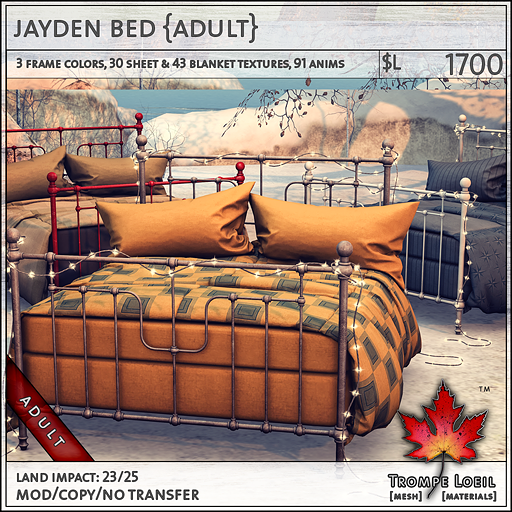 43 blanket textures, 30 sheet textures, 3 frame colors (unpainted, white, and red) and your choice of PG or Adult maturities. 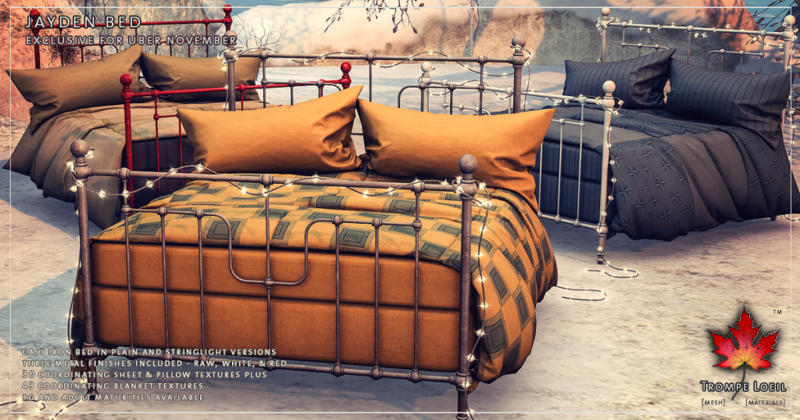 Check out the demo at Uber today!